One Momma Saving Money: Movies Anywhere + Prime Video Exclusive Offer: Buy One Movie, Get Spider-Man Free! 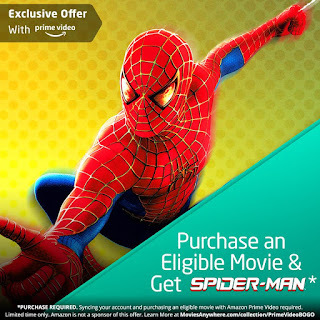 Movies Anywhere + Prime Video Exclusive Offer: Buy One Movie, Get Spider-Man Free! BUY ONE MOVIE, GET ONE FREE!